A representation of time. 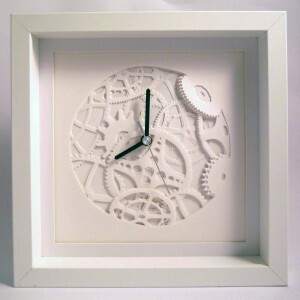 This clock design has been constructed using 10 individual hand cut pieces of paper. 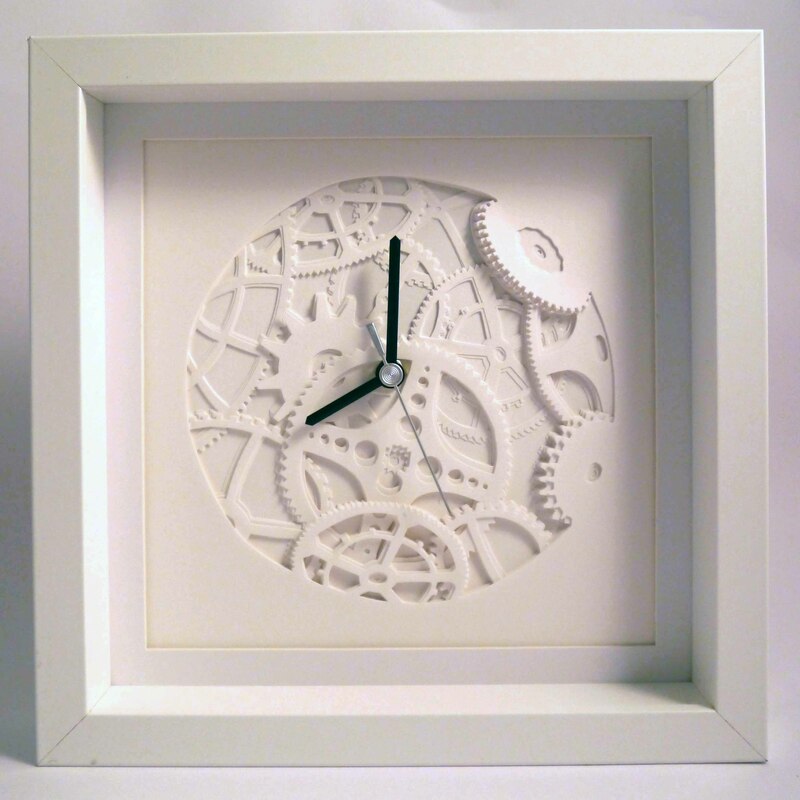 The design was realised when considering how the concept of time was created, leading to explore the natural cycles of the solar system which determine how we measure time.